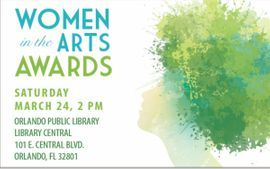 2018 Women in the Arts: "Celebrating the Genius of Women" at the Orlando Public Library. Honorees, jury, and board members. Back row: Leslie MacMillan, Kim Minichiello, Jennifer Payne, Anna Thorne, Natalia Guerrero, Erika Oliver, Valerie Zephyr, Jean Banas, Mindy Colton. Front row: Eliza Pineau Casler, Audrey Phillips, Kathy Stutzman, Peggi Nadeau, Maria Guerrero, Katherine Navarro, Ashlyn Mae Bapst. Danielle Culibao, Hellen Sermini, Victoria Guerrero. Photography by: Laura Leandra Productions. Oct. 3 at 11:00 AM. Entry form opens. Jan. 24 at 11:00 AM. Entry form closes. Feb. 13 at 11:00 AM. Finalists announced. Mar. 02-09. Finalist art install. Mar. 10-19. Public Vote period, Social Media Vote, and Jury Team Final Voting. 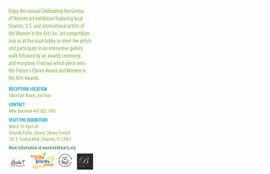 International and U.S. artists online exhibition. Mar. 24. 2:00-4:00 PM. WOMEN IN THE ARTS AWARDS. Meet the Artist and awards reception. Winners announced. RSVP and event details TBA. "Celebrating the Genius of Women"
​Congratulations to the artists honored in the 7th. Annual Women in the Arts 2018 Art Competition at the local, US, and international level: "Celebrating the Genius of Women". In the juried awards of local finalists, Hye Shin received 1st place, Danielle Curibao received 2nd place, Peggi Nadeau received 3rd place, Anna Thorne received 4th place, and Audrey Phillips received 5th place. Anna Thorne received the People's Choice Award. Honor Award recipients are: Mindy Colton, Jennifer Payne, Karin Connolly, Eliza Pineau Casler, Kim Minichiello, Ashlyn Mae Bapst, and Kathy Stutzman. US Honorees are: Elizabeth Allen-Cannon, Hildy Maze, Jean Banas, Jennifer Kaye Martin, and Katherine Thomas. International Honorees are: Cezara Kolesnik, Belgium; and Desislava Unger, Austria. 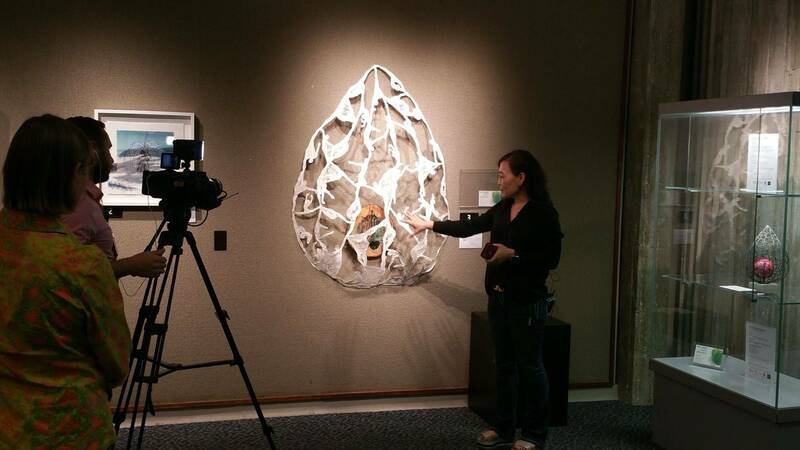 We celebrate the work of these artists and invite the public to view the gallery through April 24th. at the Orlando Public Library, 101 E. Central Blvd., Orlando, FL 32801. View the results Press Release including scores, awards, jury, partners, and sponsors.